An amino acid is an organic compound containing an amino group (-NH2) and a carboxyl group (-COOH). They are the building blocks for all life, in that they are the chemical basis for all proteins. Protein is one of the biggest components of our bodies. Our bodies use amino acids to form the proteins which build everything from muscles and bones, skin and hair, to internal organs and fluids. In addition, amino acids play an active role in our nervous system, where they function as ​neurotransmitters in the brain. Amino acids can be divided into two basic groups: essential and nonessential. The essential amino acids are those which your body cannot synthesize. Your body only gets these through your diet. The nonessential amino acids are just as important, but your liver can manufacture them. The specific amino acids that have been linked with bipolar disorder are tyrosine, tryptophan, and taurine. Dopamine, a neurotransmitter in the brain is made up of the amino acid tyrosine. Serotonin, another mood-related neurotransmitter in the brain, is made up of the amino acid tryptophan. A deficiency in one or both of these amino acids is associated with low mood and aggression. Bipolar disorder has also been specifically linked to a taurine deficiency. Taurine is an amino acid made in the liver and creates a calming effect in the brain. A taurine deficiency may lead to more manic episodes in a person with bipolar disorder. One supplement called N-acetylcysteine, or NAC, consists of the amino acid cysteine, which is converted into taurine in the liver. Unfortunately, scientific studies examining this supplement have not shown a benefit in people with bipolar disorder. 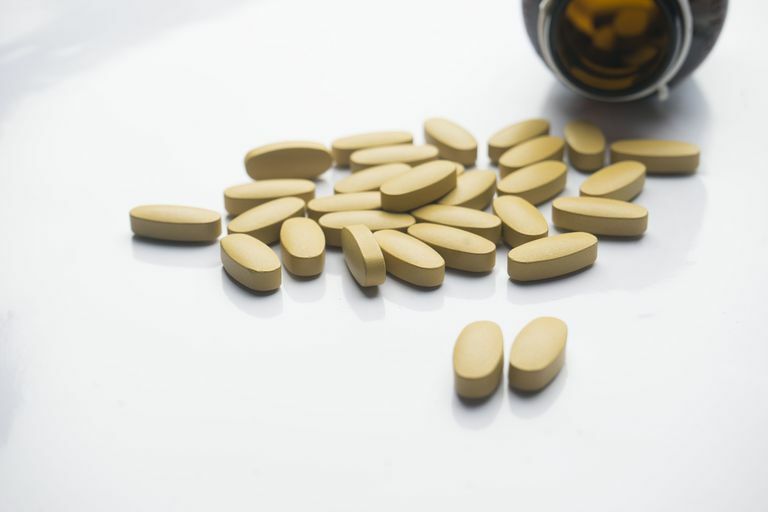 According to a 2014 review study in Depression and Anxiety, which examined a number of different nutritional supplements in bipolar disorder including NAC, there was no benefit in using nutritional supplements to either prevent or treat bipolar disorder. That being said, it's important to note that this review study did not specifically examine tryptophan or tyrosine. Regardless, it's extremely important to first speak with your doctor before taking any supplements. Taking too much of an amino acid supplement may be harmful. Also, supplements should not be used to replace prescription medications for your bipolar disorder. Is Bipolar Disorder Being Overdiagnosed? What Is Euthymic Mood in Bipolar Disorder? Why Are Manic-Depressive Women Have a Risk of Postpartum Illness? Can a Service Dog Be Useful for People With Bipolar Disorder? Why Are There so Many Classifications of Bipolar Disorder?